Professor James Self (School of Design & Human Engineering), together with collaborating UNIST faculty (Professor Chajoong Kim), industry partners (Minkyu Kim, CEO Boksoondoga) and DHE students (Sungkeun Lee, Subin Kim, Haemin Lee, Sumin Lee, Kido Chang), have been selected to exhibit two design works at the 2016 KSDS International Invitational Design Exhibition at the “Paper Gallery’ in Downtown Seoul. 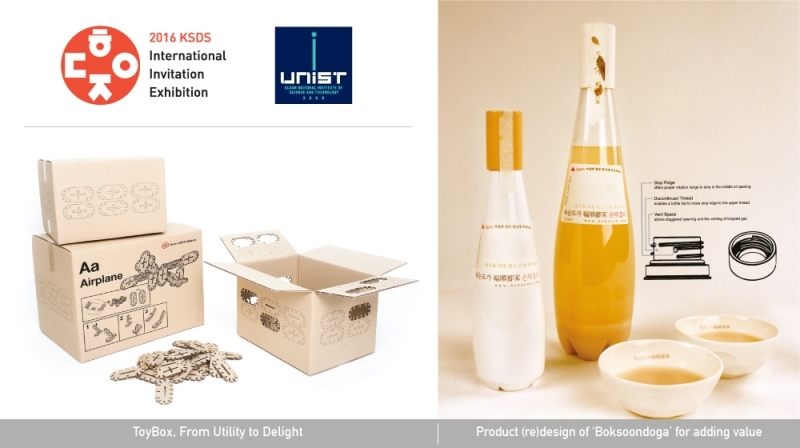 Designers and professionals from 11 countries are participating in the invitational exhibition, with design works from UNIST including a collaborative industry project to provide design and engineering solutions, adding value to a local Ulsan-based producer of high-quality traditional Korean rice wine (Boksoondoga), together with the award winning innovative aid-packaging design, ToyBox. 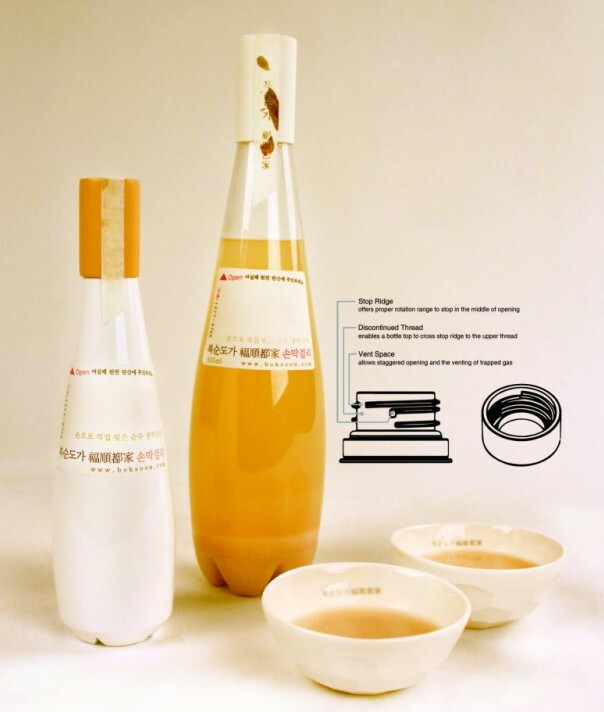 The product (re)design of ‘Boksoondoga’ by UNIST’s design school: Prof. James A. Self, Prof. Chajoong Kim, Prof. Minkyu Kim, and Sungkeun Lee. The first exhibited work, in collaboration with industry partners Boksoondoga (복순도가) rice wines, adds value to the company through a combination of sensitivity to brand identity and engineering knowledge. In keeping with the Boksoondoga’s desire for increased product range, the design team at UNIST provide a product addition targeted at individualized consumption. Problems of excessive overspill are also addressed through the development of a patentable ‘stop-ridge’ and ‘discontinued’ bottle-top thread and cap design, allowing the venting of trapped gas through a specially designed vent space. The second exhibited UNIST work is the award winning project, ToyBox. 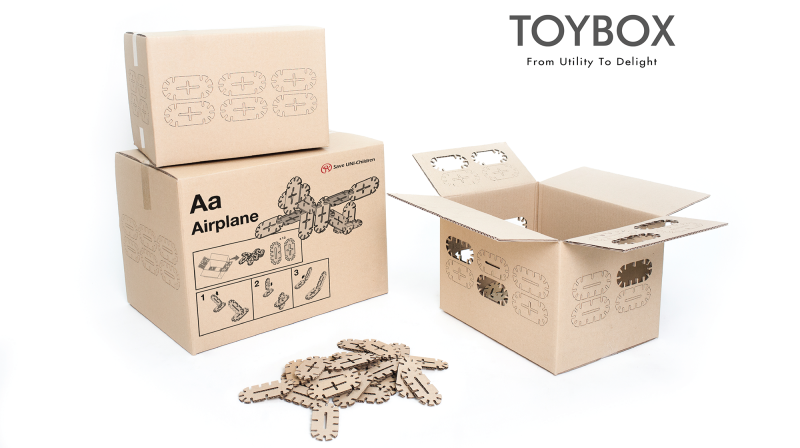 Changing the meaning of aid packaging to provide emotional relief, ToyBox is a transformative packaging design offering opportunities for creative play for children in the most challenging of circumstances. 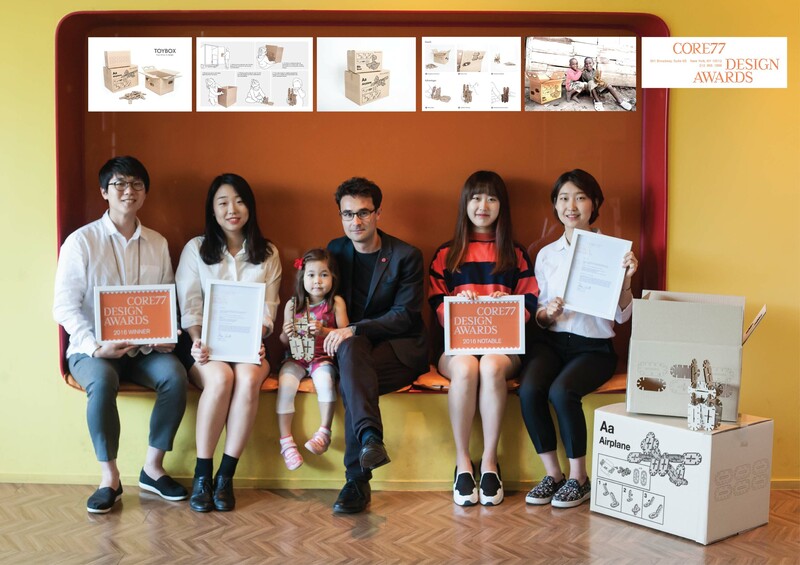 Incorporating an innovative toy function within a simple cardboard aid carton, ToyBox is specially designed for use with existing relief-aid cartons delivered by non-governmental organizations and charities to developing countries and disaster areas. Running from December 12th through to 16th, this year’s prestigious annual exhibition includes 154 creative contributions that together provide an arena for exchange of creative designs and ideas both domestically and internationally.